Patrick Brown, a.k.a. "@brownbarrie", was forced to resign as leader of the Progressive Conservative Party of Ontario after reportedly committing sexual misconduct against two young women, one of whom worked for him. Years of rumours about Brown's lecherous propensities. When the sexual misconduct story broke, Brown's staff resigned en masse (because, you know, they clearly thought the story was false). Brown was accused of falsely inflating PC party membership numbers. Brown is being investigated by the Integrity Commissioner for failing to declare rental income on his home. Brown allegedly took his 23-year-old intern/girlfriend (*BROWN IS ALMOST FORTY YEARS OLD*) on a trip to India and other countries without disclosing the gifted trips, and on the pretext that she was a staffer. There are real questions about a possible (?) $375,000 payment to Brown from a guy who wanted to be a PC candidate... a payment that could be for a number of reasons but none of them seem legitimate. We were softening on you after your nice gesture reaching across the aisle to bid adieu to Brant's MP. But maybe you only know how to be nice to other men. Cya. 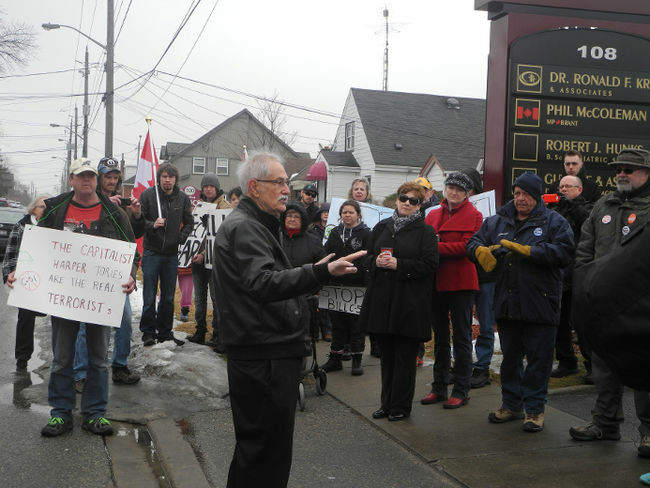 Some engaged citizens went to Phil's office on Saturday to protest Bill C-51. For those of you who aren't familiar, Bill C-51 is a law that will basically allow the government to spy on you and violate all sorts of Canadians' rights. At Dump Phil, we are SHOCKED and APPALLED that Phil is not standing up for the rights and freedoms of Canadians. Phil McColeman, in addition to doing virtually nothing over the past year, has now decided that he is an EXPERT in international and constitutional law. He gave a speech about the so-called "Strengthening Canadian Citizenship Act", a law that became subject to a constitutional challenge the day after it became law. First, Phil says that Canada should strip anyone of citizenship if he or she engages in terrorism. Okay. Terrorists commit terrible acts, true. Terrorism should be condemned in all its forms, true. But at the same time, it is literally illegal under international human rights law to make a person without any citizenship. You simply cannot turn someone into a stateless refugee. But human rights, that's never bothered Phil or the Conservatives. (BTW, the only reason that Phil was not around Parliament during the recent tragic shooting was because he left for work at 10:00 a.m. that day #stopthegravytrain). Second, Phil says that CSIS should be able to spy in foreign countries, and that the Canadian constitution is the only relevant law in such a situation. Mm-hm. So don't know if you've heard about this new idea that's been around since, oh, about 1648, and it's called "sovereignty". It's the idea that one country can't just go barging around in another country without the latter's permission. But it's all gravy, Phil says, because democracy-lovin' Canada doesn't like the governments in the countries whose sovereignty we'd be violating. So if the government of a democractic country like Benin decided to send its secret police into Canada to start snooping around, without telling the Canadian government, Phil would be totally fine with that. Or if a country like, say, Russia decided to start rustling up trouble in a country like, say, Ukraine, Phil would be totally fine with that too. P.S. Thanks Phil for reminding us that terrorism is bad. You want a cookie? Great. Now please stop blowing smoke and start addressing substantive issues like Ontario's sagging economy or environmental damage and global warming. "SO31s" refers to Standing Order 31. In Parliament, sometimes an MP wants to mention a prominent member of their community, or a local sports team that has made the MP's riding proud. The S.O.31 allows the MP to make a short speech about these topics in Parliament. Phil McColeman, however, has chosen to use his S.O.31 for the same tired rhetoric churned out by his party on a daily basis. Phil, this is why people are tired of politics. 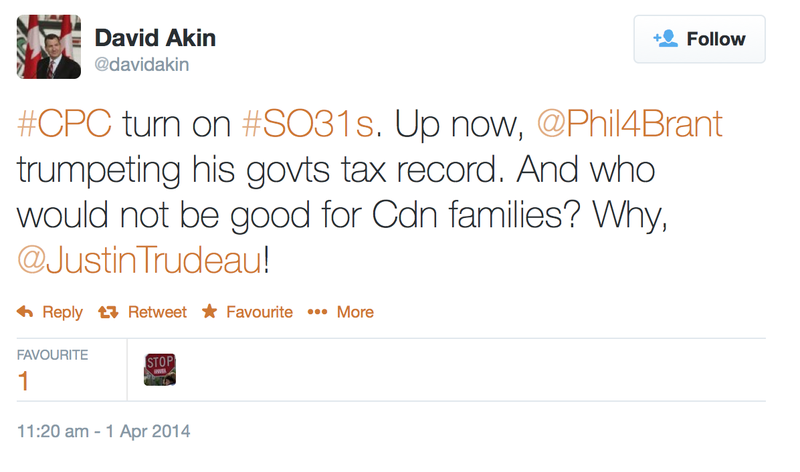 Even David Akin found it ridiculous, as evidenced by his clearly sarcastic tweet. So this is what Phil spends his time doing while the taxpayer pays him six figures a year. This is pretty embarassing for anybody who lives in Brant. We here at this non-partisan blog are simply disgusted. Phil may eventually decide to grow up and stop this nonsense. But not likely because he's been doing this type of thing for years. 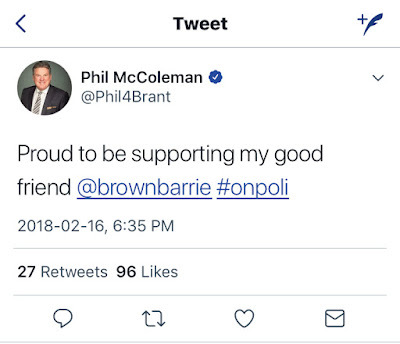 More likely, it is time for Brant to Dump Phil!! Phil McColeman prides himself on having helped develop the Laurier Brant campus (even taking credit for work that his government didn't do). 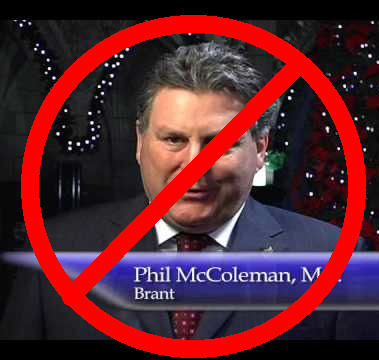 So why does Phil support a bill that would make it difficult or impossible for students in Brantford to vote? The bill is the so-called "Fair Elections Act". The opposition parties in Parliament have dubbed it the "Unfair Elections Act", and for good reason. The bill does a lot of really bad things for Canadian democracy, such as getting rid of vouching at polling stations. This doesn't sound that bad, but think about this: how many students who live in Brant to attend university or college, but aren't registered with Elections Canada to vote in Brant? A lot of these students don't have ID that proves their current address. So in the next election, they won't be able to vote. In normal times, under a normal government, the Fair Elections Act would have been withdrawn by now, or at least be in serious trouble. The past few weeks have seen the bill denounced as a threat to democracy by the chief electoral officer, the former chief electoral officer, several provincial elections officials, academic experts domestic and foreign, and newspaper editorials across the country. Thursday they were joined by Harry Neufeld, the former chief electoral officer of British Columbia and the author of an inquiry into irregularities in the 2011 election. What is Phil's response to the "Fair Elections Act"? My guess is he's still sitting on the backbench clapping away every time the Conservative members resort to cover-ups, misrepresentations and outright lies when defending the Unfair Elections Act. Phil is a weak MP who does not care about the institution of democracy. 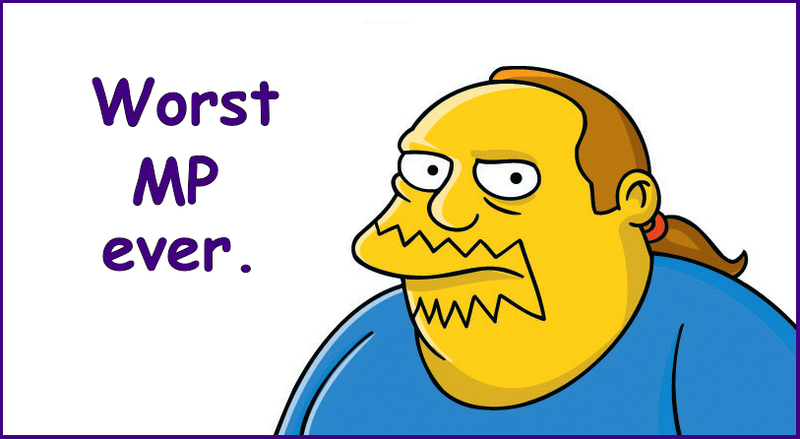 In 2015, let's show that we care about democracy by voting to Dump Phil! In conclusion, we'll let you draw your own conclusions! ... that's the sound of silence. Phil McColeman's silence, to be precise. Canada is in the midst of a political scandal that goes to the highest levels of government. Specifically, to the Prime Minister's Office, you know the guys who whip Phil and other MPs into behaving like trained seals with the promise of some obscure committee chair appointment. Yet Phil McColeman is silent. 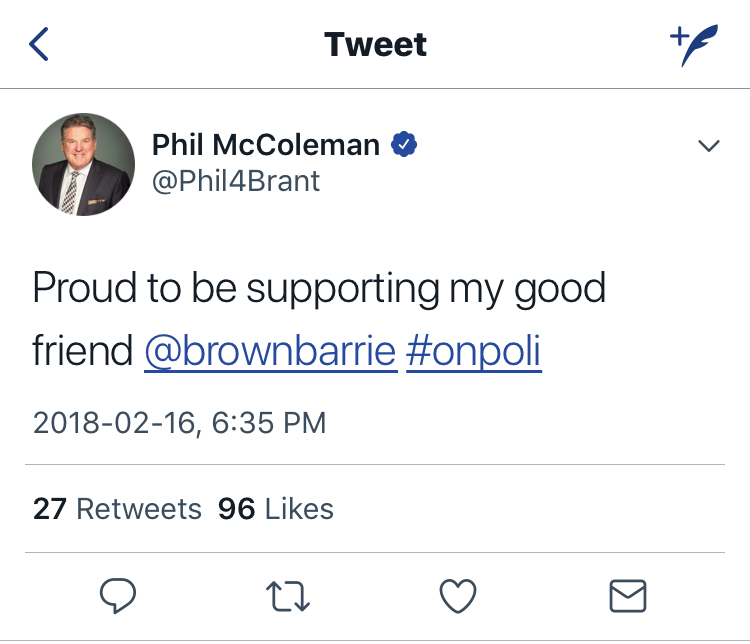 You have to wonder: Does Phil represent the people of Brant, or does Phil represent the PMO? The PMO tried to cover up the fact that Senator Mike Duffy claimed ineligible expenses from the Canadian taxpayers. Stephen Harper's right-hand man paid $90,000, and the Conservative Party of Canada paid another $13,500 in taxpayer-subsidized funds. These payments allowed Duffy to "repay" his ineligible expenses, and a Senate committee led by Conservatives whitewashed an investigative report on Duffy's expenses. This coverup was all done to protect the Conservative brand and Mike Duffy, who was a leading Conservative fundraiser. Stephen Harper is lying. This is substantiated by the fact that Harper's story keeps changing. Stephen Harper deliberately ignored the truth. But willful blindness or recklessness is no defence to a crime. 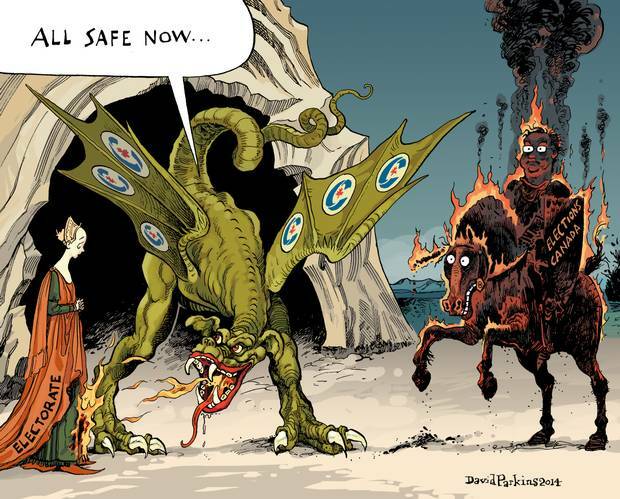 Harper created the PMO, and he must take responsibility for its wrong and possibly criminal acts. 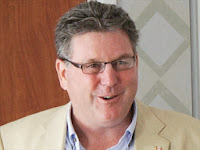 Phil McColeman is the federal Member of Parliament for the riding of Brant, Ontario. 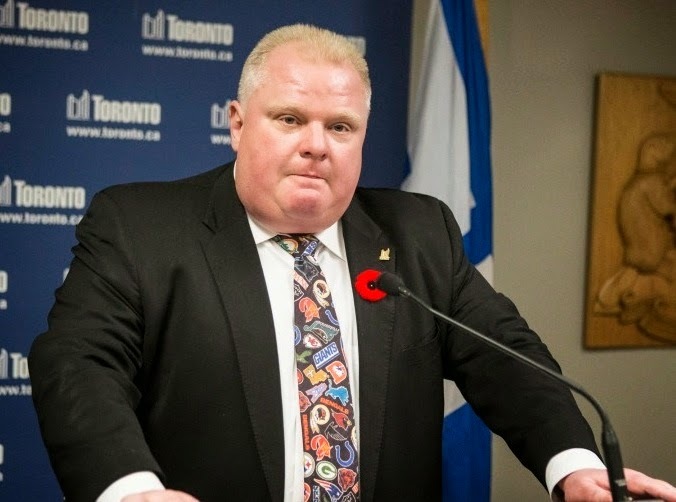 He is part of the Conservative Party of Canada, along with Prime Minister Stephen Harper. Questions? Comments? Contributions? Contact us at webmaster@dumpphil.ca.